Hello Friends, Happy Dhanteras to all of you. 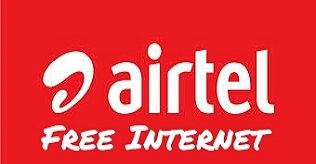 We are Back with an amazing trick for you.Trick To Get Free Internet Data Upto 1.25 Gb From Airtel. 2. Then Some Song start then it will ask you to choose language. 3. Do not choose any language, Directly Press 0361 when a lady Start speaking. 4. Done .! Within few seconds you will get free data 1.25 Gb for 28 Days. Share with your Friends and Relatives So they also Get this offer.